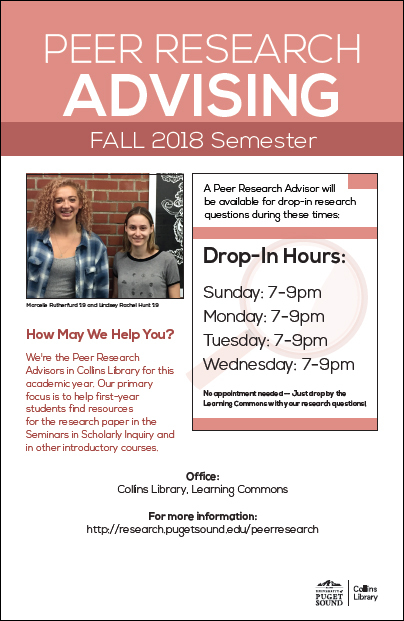 Marcelle Rutherfurd ’19 and Lindsey Rachel Hunt ’19 are Peer Research Advisors in Collins Library for Fall Semester 2018. Their primary focus is to help first-year students find resources for the research paper in the Seminars in Scholarly Inquiry and in other introductory courses. One of them will be available for drop-in research questions Sundays through Wednesdays, 7:00pm-9:00pm in the Collins Library, Room 118.